Statistics Canada conducts its Census of Agriculture every five years. Data from the 2016 Census was just released. 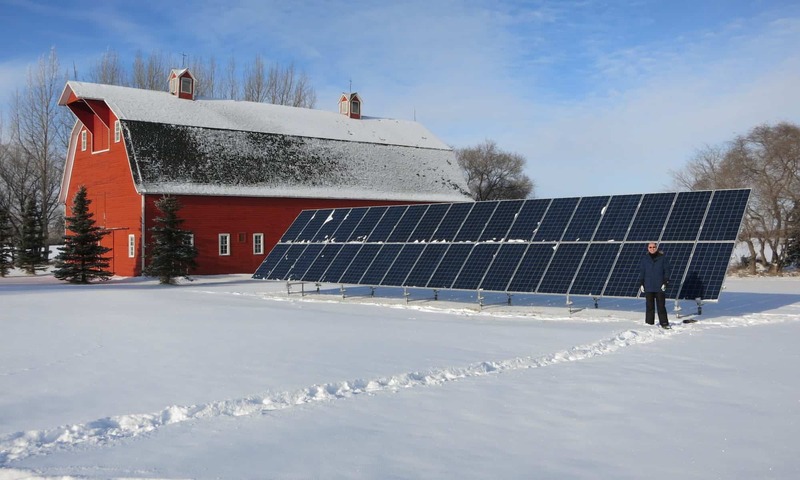 It shows that the number of farms in Canada continues to decline at an alarming rate. 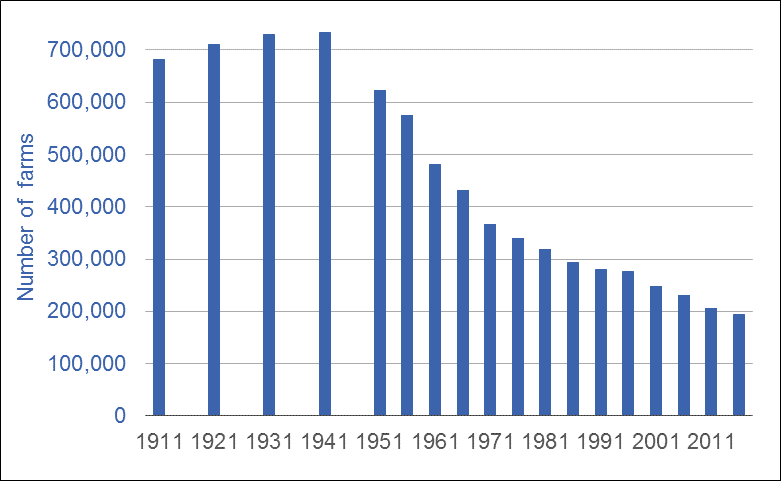 The graph above shows the number of farms operating in Canada in each of the Census years from 1911 to 2016. Over the past 30 years—1986 to 2016—Canada lost one-third of its farm families. A generation ago there were just under 300,000 farms in Canada; today there are just under 200,000. The continuing loss of farms and farmers damages Canadian food security and food sovereignty, our capacity to produce local food, our ability to adapt to climate change, and our prospects for building environmentally sustainable food systems. It also has negative effect on employment and rural economic development. But there is another consideration, one that should interest every Canadian: the number of farms in Canada was reduced by one-third during a thirty-year period when taxpayer-funded transfers to farmers, in the form of farm-support programs, totaled more than 100 billion dollars. (All figures are adjusted for inflation.) The public policies and taxpayer dollars that Canadians understand as helping “save the family farm” are having no such effect. This failure of farm-support programs to stabilize the number of farms can be traced to two factors. First, such programs lack appropriate payment caps. Caps on total annual payments of $200,000 to $300,000 per farm could slow farm-size expansion and the attendant loss of farms. But payments under AgriStability—Canada’s primary income stabilization and support program—are capped at $3 million per farm per year. Second, our agricultural policies do nothing to challenge the pathology underlying the farm income crisis: wealth extraction by agribusiness. As noted in a previous blog, over the past 30 years agribusiness has made off with 98 percent of farmers’ revenues. From some perspectives, farm-support programs can be seen as fulfilling an enabling role: keeping farm families solvent so that powerful corporations can bleed off wealth. This is not an argument against farm support payments—vital crop insurance and income-stabilization programs. But it is a suggestion that farmers, citizens, and governments should all look critically at the real-world effects of these programs and the tens-of-billions of taxpayers’ dollars these programs consume. All citizens have an interest in maximizing the number of farm families on the land. By that measure, our agricultural policies and programs are failing miserably. Canada’s family farms are disappearing.